Want to work at one of the fastest growing companies in Pittsburgh? Apply Here. Search a wide range of positions in the area by using our career portal to begin your Job Search. BREADWORKS is currently hiring for the Baking and Packing departments, Bakery Store, Bakery Office, and Delivery Drivers. Apply online and view additional openings on our website here. Children’s Museum offers a variety of opportunities including artist residency programs, volunteer and internship programs, and wide range of job positions. Social Media Marketing Internship positions available with The Northside Chronicle. Rolling applications and college credit. Email advertising@thenorthsidechronicle.com with resume and cover letter. Fresh Floral Arrangements for any Occasion: Johanna’s Garden has been designing custom arrangements for over 30 years on the Northside. Call 412-761-6770 to place your next order! Editing Services Offered: Experienced and educated writing professional offering affordable editing services. Resumes, research papers, creative pieces, even online dating profiles…you name it, I’ll edit it! Email me at rachwoods@yahoo.com to get started! Bonvue Street in Observatory Hill Homes For Sale from Christa Ross, Realtor with ReMax Select Realty. Buyers who purchase before interior surfaces are ordered able to personalize their selections. 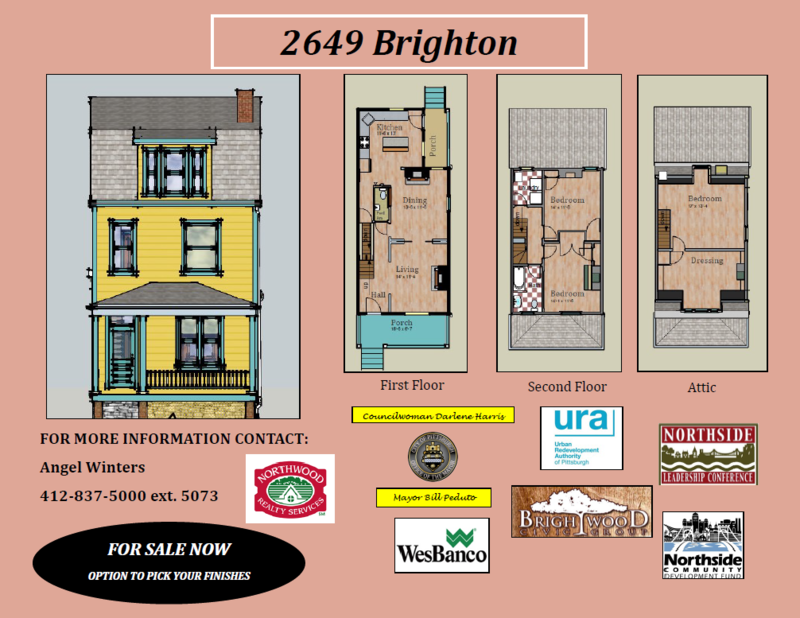 Special financing available to income qualified buyers. Visit the website bonvuestreet.com for more information for Phase II homes scheduled to begin development Fall 2018. 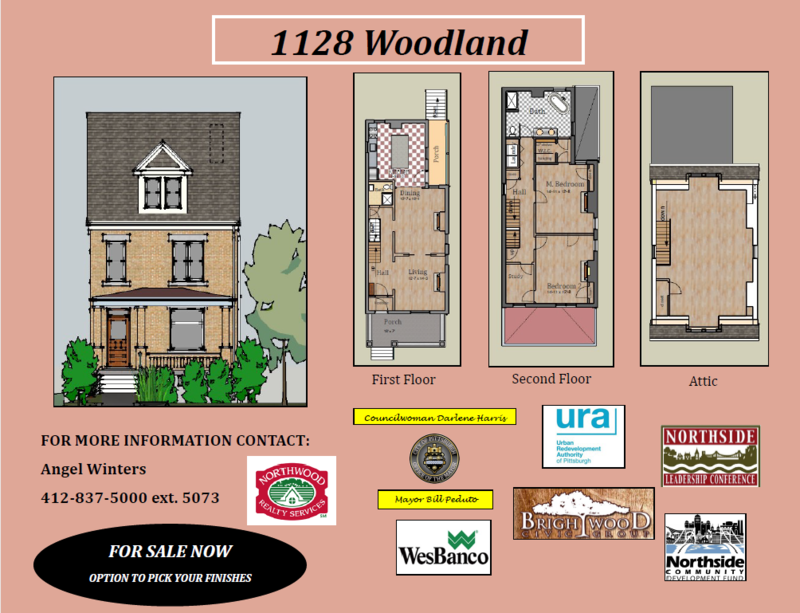 1128 Woodland Avenue View floor plan here. 2649 Brighton Road View floor plan here. 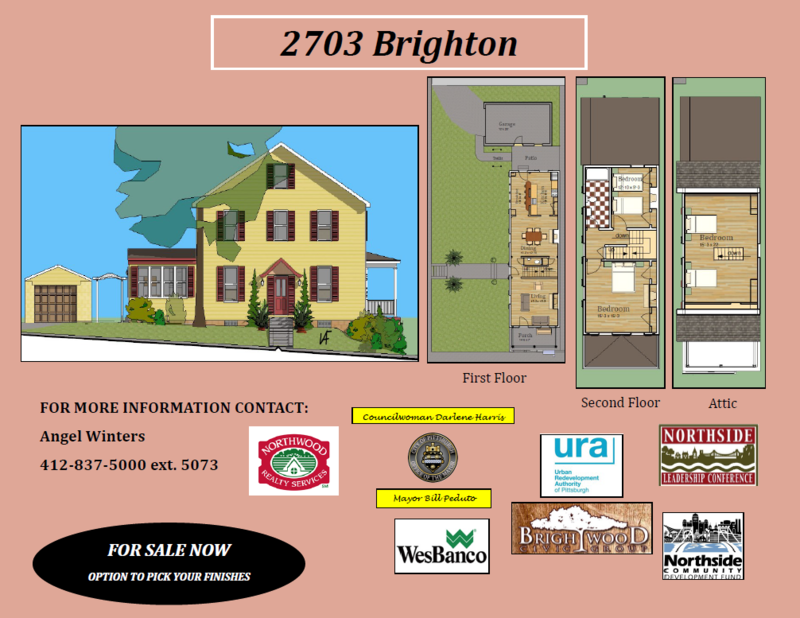 2703 Brighton Road View floor plan here. Available for announcements, free offerings, missed connections, funeral services. Community College of Allegheny County (CCAC) Allegheny Campus offers a wide range of programs, including specific areas only found at our Northside location. Classes enrolling now! Find Allegheny Campus courses here. Counseling and Wellness Center of Pittsburgh is offering FREE Yoga in the Park every Saturday at 10:30AM April 28th – September 29th in Allegheny West Park at Brighton Rd. and Ridge Ave. Visit the Facebook Event for more information. Oread Design is a studio that specializes in kitchen and bath design. Follow our work and design inspirations on our Instagram account. Call (724) 882-2367 when you’re ready to transform your space! Eugene Beck Co. has been providing reliable, high-quality Heating & Air Conditioning services for their homes since 1900. 24 hour emergency services available. Call 412-321-3356 to request a free estimate. Pittsburgh Banjo Club is proud to be part of the North Side. Join us at our weekly rehearsal every Wednesday at 8pm. Admission is free and atmosphere lively! 400 Cedar Ave. Pittsburgh, PA 15212. Call 412-321-1834 for group reservations. Python Plumbing is available for your toughest jobs and emergency service. Call 412-628-0827 to request a free quote. Kropf Chiropractic provides Integrative Medicine to gain greater longevity. Call 412-321-5231 to schedule a free health consultation. MAKE A DIFFERENCE TO A TEEN Become a Foster Parent! Foster Parents for teens are needed for Auberle’s Foster Care Program. We seek strong families willing to open their homes to teens aged 12-21 years.